Rather than begin this article by trying to justify the video game industry’s position as an entertainment giant or validate video games as art (both topics should no longer be a target for debate), we’re going to immediately dive into the role of a key player in game development. This creative position can be extremely rewarding and offers the opportunity for talented individuals to entertain gamers for hours on end. More and more students are planning to take on this role and turn it into a successful career as colleges are now offering courses and degrees for this particular field. However, it is still very possible to claim your spot on a development team if you can creatively demonstrate what the role calls for. So grab a seat (pretty good chance you’ve already done that), and prepare yourself for an all-inclusive trip into the world of the Video Game Designer. When you play a video game, it’s very easy to pinpoint what a 3D modeler or animator contributes to the game experience. Same goes for the sound engineer and music composer. Of course, the game wouldn’t even run were it not for the thousands of lines of code written by the programmers. But what about the not-so-obvious components? For example, in a first-person shooter, who determines how many rounds a gun will hold? Or how powerful each round will be? Or the rate of fire? Or reload time? In an adventure game, who causes the red door to open when the red key is used? In an RPG, who sets up the skill trees and economy? Last of all, and most important, who is responsible for making the game fun to play? Relax, your intelligence is not being insulted, but what you’re going to see is the Game Design role is arguably the most diverse in the industry. A Game Designer’s main function is to conceive the elements of gameplay, and to turn those elements into an interactive experience for the player to enjoy. This requires a robust skill-set both technically and artistically, because the Designer uses level editing software to build levels in a game, as well as high-level programming (scripting) to make things happen in the game world. What you must understand is that a Game Designer does not show up to work and simply write stories, character bios, and game ideas. Brainstorming and coming up with cool concepts are what a Designer does 10% of the time. The remaining 90% is comprised of the execution of the ideas; and, in order to make this happen, the Designer utilizes numerous artistic and technical tools. The tools used by Game Designers vary from studio to studio, but there are some programs that all Designers use. In fact, you probably already use many of these tools quite often. Where the tools vary between dev teams all depends on their game engine, choice of 3rd party software, and type of games they create. The design process begins with ideas, and these ideas need to be written up. A program like Microsoft Word is used everywhere, and most game and gameplay concepts are type up first before being distributed. Game Designers need to be become advanced users of word processing software, as they’ll want to integrate tables, images, creative formatting, a table of contents, headers and footers, and more beyond simply typing paragraphs. Some documentation, especially a GDD (game design document), can become very large in size, so knowing how to convert your documents to a more reasonable format, like a .pdf, makes it easy to send your docs to coworkers and clients via email. Spreadsheet software like Microsoft Excel is a must-have for Game Designers, and they all put it to professional use. The strength of Excel is its ability for Designers to create mathematical formulas when constructing systems, such as: difficulty curves, experience systems, and economies to name a few. To take it a step further, Designers should become familiar with Excel’s scripting capabilities, and have the know-how to write simple code when designing tables with particular data dependencies. The reason why this is so important is that Programmers often write tools that can pull data directly from Excel and convert it into game code. Microsoft Visio is a popular example of diagramming software used by all Game Designers for the purpose of creating flowcharts and pipelines. What happens after a player fails a mission? What screen pops up after a player quits out of the game? What steps does a player take to save or load a game? Somebody has to design all of this, and there’s no better way to do it than with a flowchart. Ideally, the entire flow of the game should be diagrammed, as this will make your programmers extremely happy, which might garner you a new feature later in development. Always make your programmers happy. Adobe Photoshop is a no-brainer. All Game Designers use it, and if they don’t, they at least know how to use it. Designers don’t touch up photos or create textures in Photoshop; instead, they create mock-ups of their vision of how they want the game to look and play out. Before Designers build a puzzle in an adventure game, they first create the concept in Photoshop. This is where they determine where items (like health pickups or ammo) appear, where enemies spawn, or where the trigger that starts the next cutscene is placed. You don’t need to be an advanced user like a 2D illustrator, but you should know how to use layers, edit reference pics, create text, and export files into different formats. White board. Especially in a team environment where improvised meetings can occur instantaneously, the white board is essential for making important notes, design sketches, design tasks, and more on the fly. Sure, it’s not software, but walk into any professional development studio and you’ll find a white board. If you’re lucky, you may even find information so important that it’s given the all-powerful label, “do not erase,” (usually underlined several times according to its value). Studios either license a game engine or create their own proprietary development code, and this determines the kind of game creation tools a Designer uses. Licensed tech, like Unreal or Unity 3D, are popular enough for a Game Designer to become very proficient at, and then take that expertise to relevant studios. The components of these licensed packages that Designers use are the level editors and scripting languages. If you become very skilled with building worlds in Unity 3D, for example, you can essentially walk into any studio that uses it and begin designing for them with very little ramp-up time. Dev studios that create their own proprietary technology often use industry standard 3rd party software when it comes to world building and scripting. Maya and 3D Studio Max not only function as modeling and animation tools for artists, but are also used as level editors. These programs are extremely versatile, because they support plug-ins that can be written by a studio to basically customize the software to better support the engine. As far as scripting languages go, “Lua” is one of the most popular and is an ideal language for a Game Designer to learn. All of the above tools are used for designing a game, which anyone can learn; but, what makes a Game Designer valuable to a game studio? Some Designers can script as good as a Rendering Programmer, but are unable to visually communicate their ideas. On the flip side, other Designers can draw up and conceptualize beautiful levels, but cannot grasp how to efficiently and effectively script the events that bring their vision to life. A great Game Designer excels at both; so, from a studio’s cost perspective, this breed of Designer can do the work of two people. You would be very mistaken to think your 10-hit combo design for one character in your fighting game qualifies you as a great Designer. If a studio had a choice between you and the Designer that designed the actual combo system for the entire game, who do you think wins? One-off designs are a crumb. Designing an entire feature or system? Now that’s where the good eating is. Think larger in your designs, and let the junior designers fill in the details. Instead of designing a cool shotgun that can penetrate walls, take on the challenge to design an entire weapons system. This is where the value is, because it ultimately leads to you having the ability to envision an entire game. Game design sits somewhere in between Programming, Art, and Production: Programming and Art for obvious reasons, and Production for the sole reason that Publishers and the Media are looking for a game that is fun and frequently default to a Game Designer for validation. Thus, a Designer who can speak and write clearly and confidently, who can adjust their style of communication to the receiving party (programmers think very differently from artists), and who can present their ideas and the game as a whole to third parties will be highly prized by a game studio. If you’re Picasso or Beethoven, then feel free to take all the time you need to complete your work of art, but if you’re a Game Designer with a ship date to meet, then you need to respect the dev schedule. Delivering quality work within a short amount of time will always feel impossible, but it will always be an expectation. Only with experience will you gain the confidence and ability to deliver the goods, and great Designers make this happen. In short, if you can teach the above skills to other Designers, not only will it make your job less stressful, but it elevates you to a higher-paying position and cooler-sounding title. Before the early 2000’s, getting a Game Design job mostly happened if you were already working in the game industry. Today, this still holds true, but other avenues have opened up now that the education system has embraced video game design. Getting your spot in the Game Design Department is entirely possible, and the following are several ways to make it happen. Becoming a game tester introduces you to how game development works, and how the industry itself functions. Moving into game production comes naturally for a tester who ascends through the QA ranks. Once you’re in the production department, you’ll have more interaction with development studios, and this is when you’ll want to express your interest in game design. As you ship more and more titles in a production role, you’ll gain more knowledge about how to design games and can easily find yourself landing an entry-level design position. The path from QA to Production to Design can take 3 years or more to traverse. 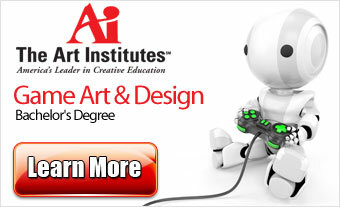 Receiving a degree in Game Design is becoming more and more common. Spending four years at a college exposes you to the tools a Designer uses, and most schools also put their students through mock development cycles (including crunch time). This is very important, because it results in an actual finished game and Game Design credit to put on the resume. Students also benefit from partnering programs where they can intern at or have their resume and portfolio automatically sent to professional development studios. The quality of a student’s work and school honors can land them a spot as an intermediate Designer. iOS and Android platforms offer a very approachable way for aspiring developers to make small games and apps. In fact, it’s entirely possible for one person to create a playable game. If your game is fun and demonstrates your ability to script and build levels, then you can expect a studio to hire you based on one game. Your chances greatly increase if the studio also makes games for the same platforms. How long would it take you to make your own game? It all depends on your prior knowledge. It could be as short as a few months to as long as several years. Finally, you may want to know where your skills as a Game Designer will take you. It does branch out slightly the higher up you go, but all lead to high-paying positions and big titles. How long these paths will take for you to cross all depends on your design abilities, work ethic, luck, political acumen, and success of your titles. The diagram below represents a Game Designer’s career path within a large development studio. Career paths vary, though, depending on the company and the titles they decide to use. The path can also begin to mix with Production. For example, Hideo Kojima, creator of the Metal Gear series, is a Designer, but gives himself the title, Executive Producer. When combined with Production, the path would look like this.